Parliamentary supremacy in British law and politics is akin to the fetish of the union in the United States. Challenge it at your peril; question it to your misfortune. 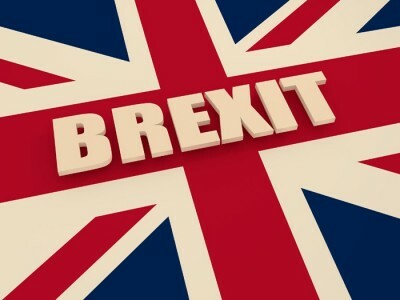 The point was tested, with rumbling consequences, by the May government in its latest Brexit stumble dealing with Britain’s painful and at times confused response to exiting the European Union. The way Theresa May’s government has respected that referendum result so far is open to question. Behind closed doors, it has promised various versions of what it might do, when in truth, it may well not know what it is doing at all. Terms such as “hard Brexit” and “soft Brexit” change hands with meal like regularity; positions are foggily unclear. The only matter sovereign at this point is solid confusion. This confusion was even more confounded by the antics of the High Court, which suggested in it judgment of November 3 that Prime Minister May’s approach to the nature of Article 50 of the Lisbon Treaty had demonstrated significant error. Parliament, in other words, had to be involved in triggering the operative functions of Article 50, which involves a two-year process for departure. The executive would have to duly comply with those wishes. According to Lord Chief Justice John Thomas, “The most fundamental rule of the UK’s constitution is that parliament is sovereign and can make and unmake any law it chooses.” Hardly heretical, given that the Brexiteer group had always insisted that UK sovereignty had been imperilled by the bureaucrats in Brussels. Not that the government won’t – it will just have to do so through the very legislature it has decided to hoodwink. In bringing the Brexit process before Parliament, the May play book will be brought to light.The reaction from the Leavers was furious. The Daily Mail, in sinister fashion, suggested that the judges were, as its headline went, “Enemies of the people.” Photos of these touted criminals were also published, suggesting a near vigilante call to arms. As ever, the paper’s editors decided to wade into the issue about what was meant by those good people of Britain when they decided leaving the EU was a good idea. The “people” had effectively lost out to a court which had sided “against [their] interests”. Had the battle against the wicked court system within the European Union been for nothing? The Daily Express event went so far as to urge the British public to rush to the barricades to “fight, fight, fight”. Those humble court darlings were misfits who had purposely engineered a roadblock to prevent Brexit by including Parliament in the whole rotten business. An eccentric reading of the ruling if ever there was one. The European authorities are not going to go easy on what is regarded as audacious mischief making by the British populists to damage the European project. But that populist voice took the form of a vote which must, in the annals of that country’s electoral history, be respected. Suspicion, however, abounds as to how this timetable of exit is to be performed, and such Murdoch papers as the Sunsuspect foul play amongst the conservatives. Everyone is in need of someone to crucify. Yet the populists, ever the bullies in the playground, were the first ones to jump ship after the vote in the name of sovereignty. Nigel Farage, having done the damage, fled to the United States to enthusiastically embrace Donald Trump’s campaign to claim that Britain had reclaimed itself. Only the often oafish Boris Johnson was brought, most probably by compulsion, into the ministry. Perhaps the most useful aspect to this entire affair, apart from the predictable anger on the part of the government at the intrusive rulings of courts it would rather not listen to (even their own), is the understanding of the populists. Behind the Brexit campaign – less than the vote itself – was a despotic snigger, a sense that unaccountable power might not be such a bad thing. As Alex Massie noted with understandable derision, “People who shouted for months about the urgent need to restore parliamentary sovereignty now reacted in horror to the restoration of parliamentary sovereignty.” The populists had effectively ambushed themselves.